Had a free day with nothing much on so I decided to do some printing with a gelatin plate. All plant materials were gathered on my morning walk on the Common. I think I was in a bit of a hurry and did not make a very good plate because it began to break up quite quickly – however rather than give up I just carried on with very interesting results. 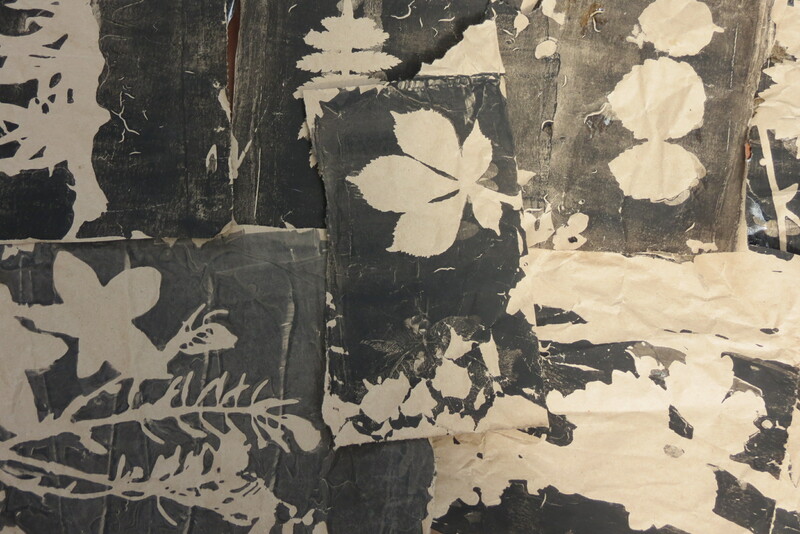 The picture on the right shows the ‘negative printing which is equally interesting.